This free assets pack contains photorealistic pre-made scenes and artworks, vector graphics, scene creators, assets pack themed “Easter”. Everything is editable and made via smart objects. All files are editable in Adobe Photoshop and Adobe Illustrator. 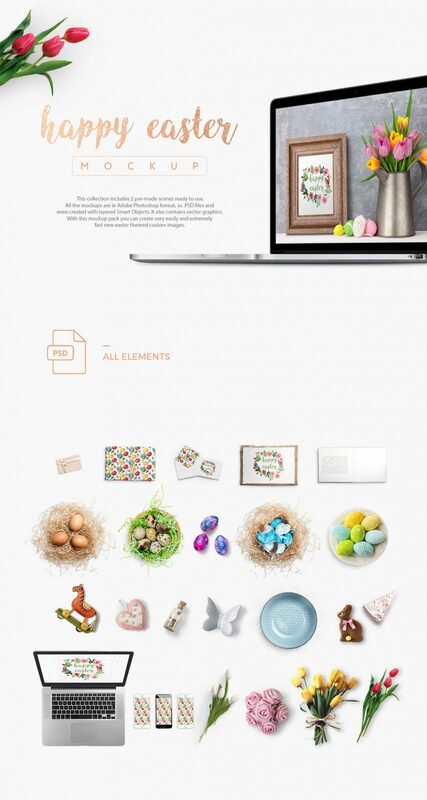 With this freebie free pack of assets you can quickly create Easter Themed Images for your blog or social media. You can make Easter Post cards or just stylize your design with Easter elements. Add Easter theme to your website banner to bring that Easter bunny spirit! As a bonus we add Easter Egg Creator, in psd format. Easter Egg Creator allows you to quickly add your texture to an egg smart object to create unlimited amounts of Easter Eggs. 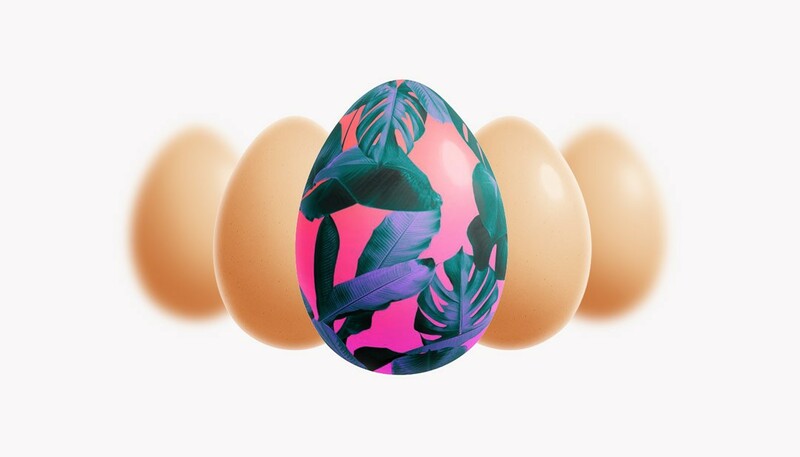 Easter Egg Template has 2 light variations as well as additional light and fill FX. Comes ready for white or black backgrounds. Produces Photo-realistic eggs. Its essentially an Egg Mockup. For free. Guereriro, é compartilhar em uma das redes sociais deles no botão de facebook ou twitter acima. Incredibly good work. Thanks for the free package. I will be looking for more designs and looking forward to promoting your work with my customers. I work in Athens, Greece. I would be interested in cooperation with you. Let me know. This is a really nice mock up!